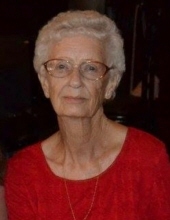 Joyce Mae Hammond, 84, of Hurley, MS passed away peacefully on Friday, February 8, 2019. She was born December 19, 1934 to the late Virgil Lee and Beulah Tallent in Athens, TN. She was a nurse for over 35 years and worked for Singing River Hospital, Jackson County Health Department, and Jackson County School District. She enjoyed working in her yard, baking, and taking care of others. She loved her family dearly, especially her grandchildren. Along with her parents, Joyce was preceded in death by her husband of 53 years, Leon Hammond; siblings, David Tallent, Jimmy Tallent, Johnny Brewer, Meada Binion, Debra Pullin, and Leon Tallent. Jeanne Godwin, Ann Brown, Lee Tallent, and Leo Tallent; along with many other relatives and friends. Visitation will be held on Sunday, February 10, 2019 from 12 p.m. until 2 p.m. at Heritage Funeral Home in Moss Point, MS. Funeral service will begin at 2 p.m. in the funeral home chapel with Bro. David Cumbest officiating. Interment will immediately follow at Serene Memorial Gardens in Moss Point, MS. In lieu of flowers, the family has requested donations be made to His Way Ministries in care of Caswell Springs United Methodist Church. To send flowers or a remembrance gift to the family of Joyce Mae Hammond, please visit our Tribute Store. "Email Address" would like to share the life celebration of Joyce Mae Hammond. Click on the "link" to go to share a favorite memory or leave a condolence message for the family.